Tesla might not be a participant in the North American International Auto Show on Monday, but Elon Musk’s presence could still be felt in the event. During the CNET Roadshow Shift Awards, Musk was named as “Disruptor of the Year,” beating out the CEOs of other companies such as McLaren Automotive and Bird, an electric scooter-share startup. Chris Paukert, executive editor of the auto publication, noted that the Disruptor of the Year award is based on the person who caused the most ripples in the auto industry during the past year. 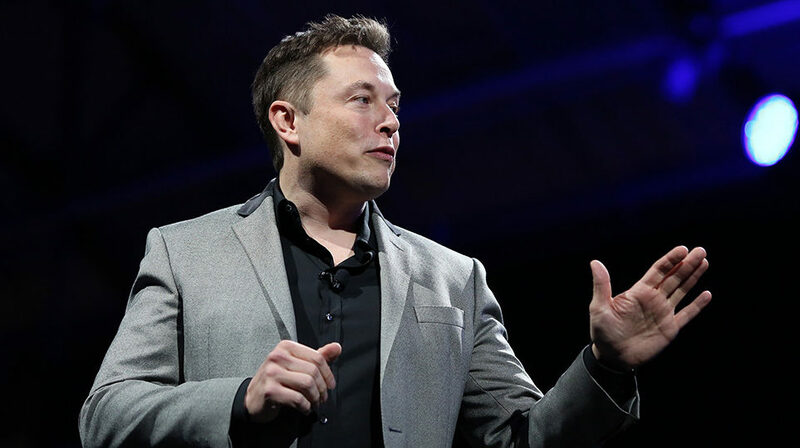 In this sense, there is very little doubt that Musk was the definite choice, considering his well-publicized challenges and successes with the Model 3 ramp, as well as his daring, out-of-the-box strategies that ultimately brought Tesla into the green in Q3. “This award is all about pushing the industry forward and leaving a lasting impact on the future of the automotive industry. Elon Musk fits that bill to a T. After smoothing out its production process, Tesla once again proved profitable. The Model 3 quickly launched itself to prominence in an already busy segment, and buyers themselves could feel the effects of those launches thanks to its wild Performance variant. Hell, he even made tunnels interesting,” CNET‘s Tim Stevens wrote. While the auto publication granted Elon Musk an award, though, Tesla’s latest and most disruptive vehicle to date — the Model 3 — was strangely absent from the auto publication’s rankings. CNET Roadshow, for one, awarded the Genesis G70, a car that has received acclaim from critics and consumers alike, as Vehicle of the Year. Finalists for the award were the Jaguar I-Pace and Volvo S60/V60. The award for Cabin Tech of the Year was also granted to Audi’s MMI touch response system, with the finalists being Mercedes-Benz’ MBUX infotainment system and Ram’s Uconnect 12 technology. That said, Tesla’s technology did make an appearance in the Roadshow Shift Awards’ other categories. Roadshow‘s Driveline Tech of the Year award, for one, was given to Nissan and Infiniti’s variable compression turbo, though finalists included Hyundai’s Kona electric powertrain and Tesla’s all-wheel-drive performance powertrain. Together with GM’s advance trailering system with apps, Tesla’s Navigate on Autopilot update was listed as a finalist in Safest Tech of the Year award as well. Audi’s drive-assistance package, though, ultimately bagged the award for Safety Tech of the Year. The absence of the Model 3 in the CNET Roadshow Shift Awards is quite notable, considering that the electric sedan has received wide acclaim from professional reviewers, auto veterans like Sandy Munro, and owners alike. Tesla’s UI for its vehicles, which the company develops in-house, is also among the best in the market, with the system at times being compared to Apple’s iOS. As such, it is quite interesting to see Tesla be beaten by legacy auto in areas where it otherwise excels, such as cabin tech. That said, it’s not like the Tesla Model 3 is being ignored by legacy auto either. Late last month, for example, 30-year auto news veteran and longtime car enthusiast Henry Payne dubbed the Tesla Model 3 as The Detroit News‘ 2018 Car of the Year. This was despite Payne only experiencing the capabilities of a Long Range RWD Model 3, a tamer version of the electric car compared to the range-topping, track-optimized Model 3 Performance. Following the Tesla Model 3 were the Ford Ranger and the Chevy Corvette ZR1, which were listed as the 2nd and 1st runner up for The Detroit News‘ 2018 Car of the Year award. The past year has been notably impressive for the Model 3. Over 2018, 145,846 Model 3 were sold, despite Tesla being challenged with the electric sedan’s production during Q1 and Q2. With these sales figures, the Model 3 became the United States’ best-selling luxury vehicle, far overtaking its closest rival — the Lexus RX, which sold 111,641 in 2018. Tesla is not done, either, as the company intends to continue the electric sedan’s ramp all the way to 10,000 units per week. It should be noted that the Model 3 has been showing these impressive numbers despite the vehicle only being available in the United States and Canada. This year, Tesla intends to bring the car to the international stage, starting with Europe and China, both of which represent a potentially lucrative market for the electric sedan. Tesla for one, is reportedly shipping 3,000 Model 3 per week to the European region starting in February. In China, Model 3 reservation holders who have configured their vehicles are expecting deliveries on March or April. By the end of the year, Tesla is set to roll out more affordable versions of the electric sedan to the local Chinese market, thanks to the vehicle production capabilities of Gigafactory 3.